These tips from carpet cleaning professionals will help you design the ultimate cheap carpet cleaning strategy for your home. 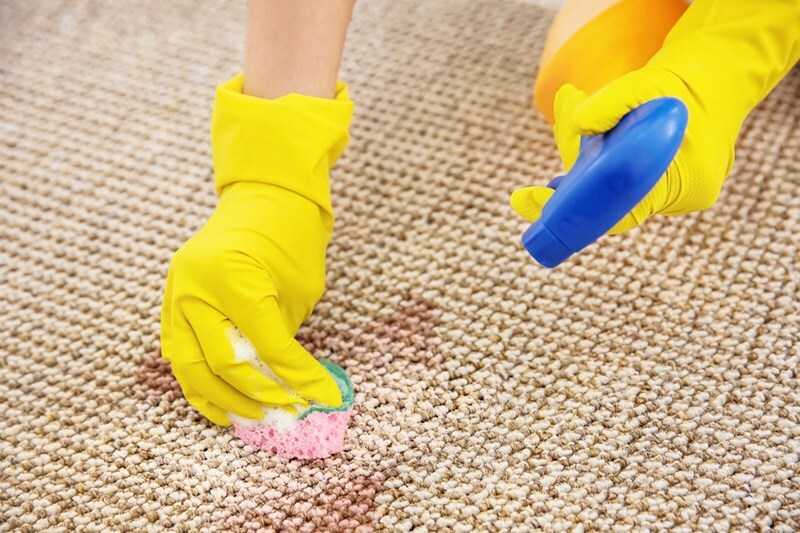 Our professional carpet cleaning services are in constant demand, so it may seem strange that this article will tell you some secrets for keeping your carpets clean. After all, these cheap carpet cleaning tips will help you avoid the need to call the professionals. However, we believe that the best way to keep your carpets looking their best is to know how to tackle the small jobs, and leave the deep clean to the professionals – it is the ultimate cheap carpet cleaning strategy. Tip #1: Clean it quick! If the kids spill juice, parents spill coffee, or friends spill wine on your carpet – or your dog couldn’t wait to pee outside – clean the stain as soon as possible. Immediately is best, before it dries is ideal. If you allow a stain to dry, it becomes extra tough to remove. Never scrub or rub a carpet stain. All this will achieve is pushing the stain deeper into the carpet and spreading it wider across it. Instead, blot stains with a clean, porous cloth to lift the stain. Many stains can be removed by pouring a little carbonated mineral water on them and then blotting. This is especially effective on beer spills – though why anyone would want to spill beer is beyond me. If this doesn’t work, try mixing the carbonated water with white vinegar (in equal measures) and spray it onto the stain. Leave for 10 to 20 minutes, and then dab it with a sponge. Repeat as necessary, and when the stain has been removed rinse with a little warm water before absorbing the water with paper towels weighed down with a book. This drying may take up to 24 hours. Apply shaving cream to the stain, leave for 30 minutes, and blot it away with a clean, white cloth. No wonder your face looks so clean after shaving! Vacuuming your carpet lifts dirt and grit that causes long-term damage and staining. But there is a correct way to vacuum: take it slow, vacuum in both directions, and vacuum regularly. This will ensure that all the dirt is sucked up, and that it doesn’t have a chance to get trodden in and settle. Don’t forget to use the nozzle to get into the corners. To keep your carpet in peak condition, have it cleaned professionally twice per year. This will remove the dust and dirt that you have missed (no matter how often you vacuum, carpets get dirty) and reinvigorate your carpet’s natural luster. If you have kids or pets, or entertain regularly, you may need to deep clean your carpet more often. You won’t need to call out the professionals to clean your carpets for every small spill or accident if you follow the above tips. With this cheap carpet cleaning strategy, you’ll find your carpet will stay looking and feeling like new for many years. For a professional carpet clean in the New Jersey area, call Porter’s Cleaning. We guarantee satisfaction.